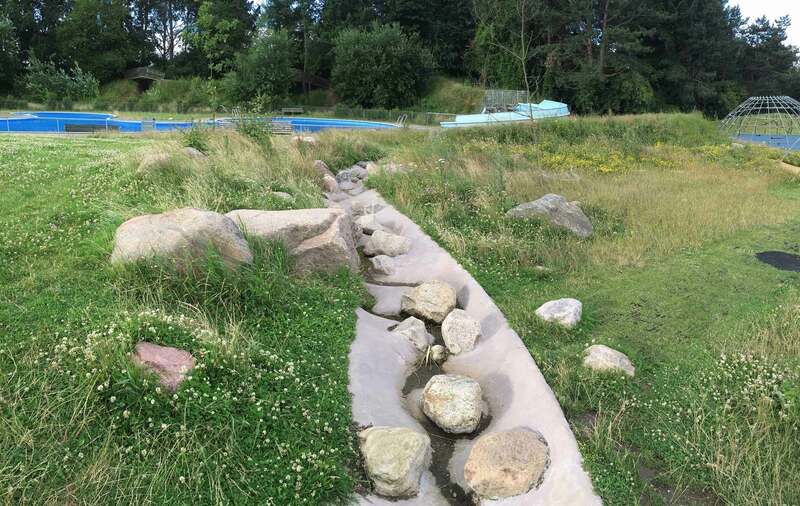 This Park is located in the vicinity of Gladsaxe open air swimmingpool. It is part of a climate change program, called Vand Plus. 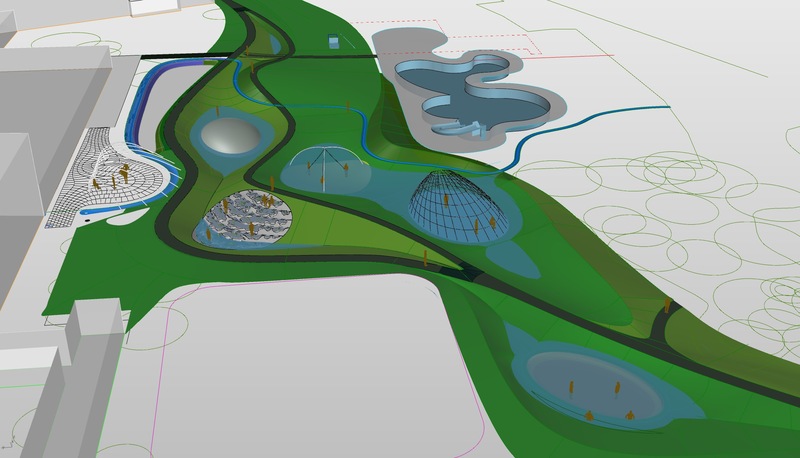 The sculptural landscape is designed to withhold large amounts of rainwater, in case of floods and huge rainfalls. 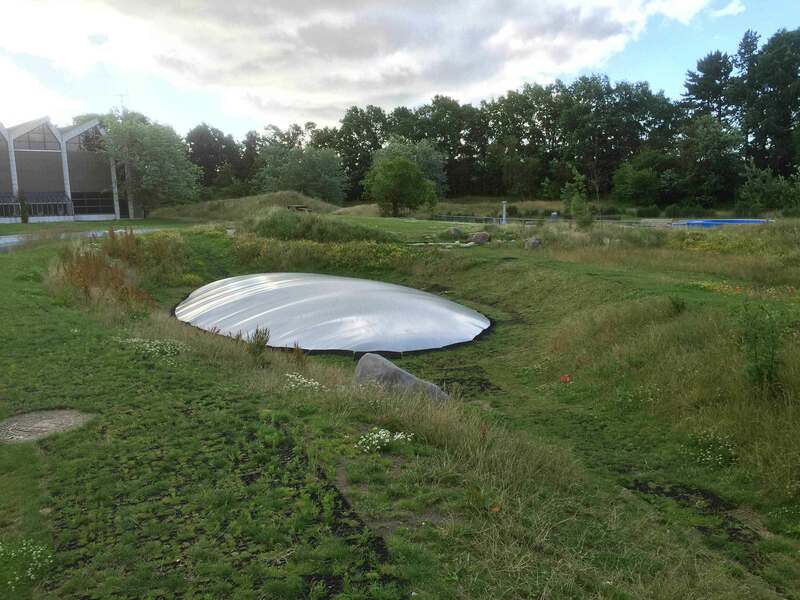 We recycle the rainwater through a BioFilter, and the filtrated rainwater is reused in a complex Water-sculpture, called Geysir. 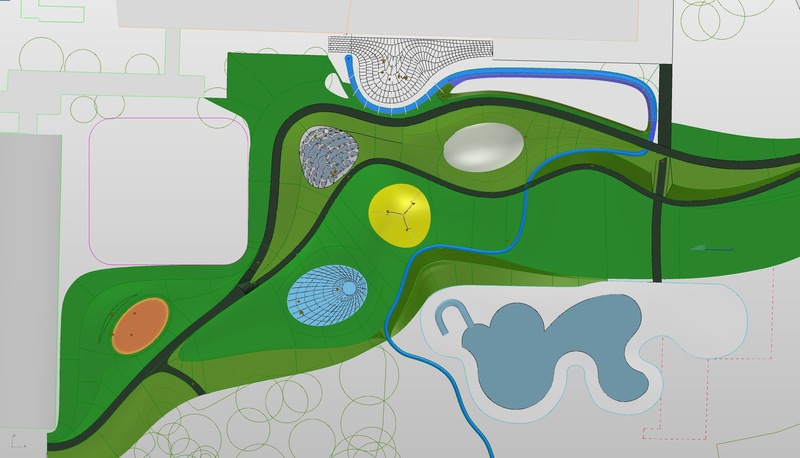 Other recreational installations include a very popular inflated dome, an open air gym, a huge nested swing, an alternative, oval ballplay field, and a sandbox for the small kids. The cafe is serving coffee and snacks, which can be enjoyed on the terrace, and the pavilion here will give shade in hot summers, as the Vines grow dense. 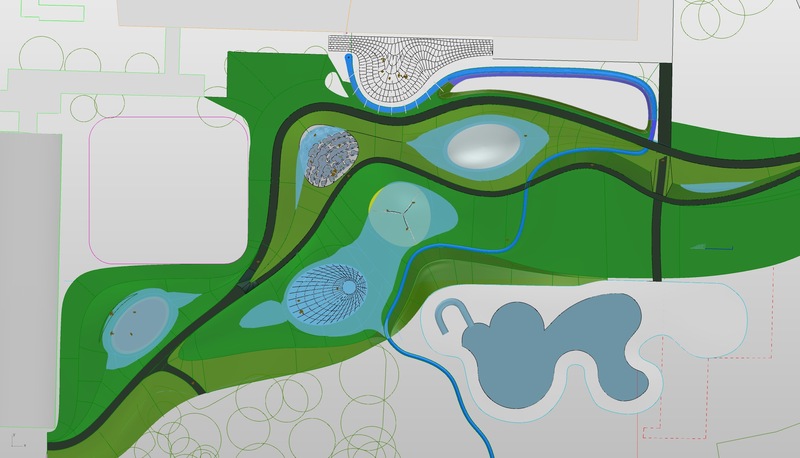 2014-2016 Sculptural landscape design with installations.